We are between two weather systems on Wednesday afternoon, a storm developing at sea is pulling away and a front in Canada is moving toward us. Those two systems will merge and create quite a cold windy day Thursday, so let's enjoy this afternoon. 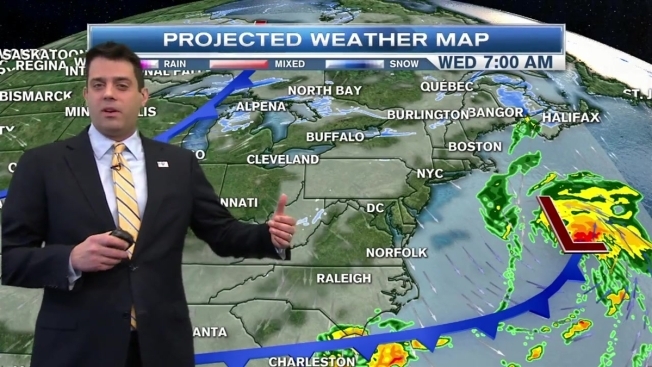 It will be mostly sunny on Wednesday afternoon, with temperatures near 40 degrees. Snow showers and flurries are scattered overnight as the first push of cold arrives, with low temperature in the 20s south and 10s north. The first front pushes offshore in the morning, leaving a mix of sun and clouds, a few snow flurries, and high temperature in the 20s south and 10s north. Winds Thursday will be from the northwest gusting past 35 mph. Thursday night likely ends up as one of the coldest nights of winter - windy and dry with a low temperature near 0 degrees and wind sustained 20 to 30 mph with higher gusts. It is a frigid Friday sunrise, with the wind continuing to gust, creating chills well below zero. It will be cold enough for some dead car batteries. The Massachusetts Emergency Management Agency is urging residents to take precautions during the extreme cold, including wearing layers if you must go outside. 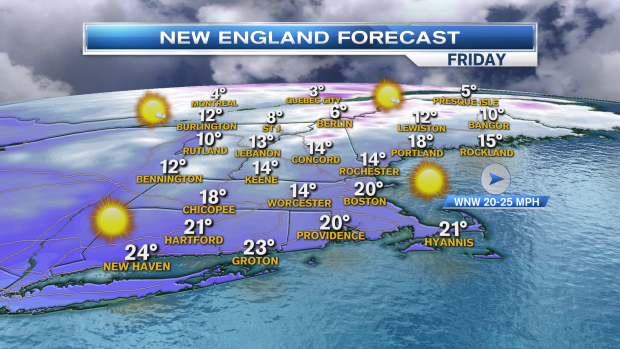 We will have sun mixed with clouds on Friday, with high temperatures only in the 10s south and single numbers north. Wind continues from the northwest 20 to 30 mph, diminishing late in the day. 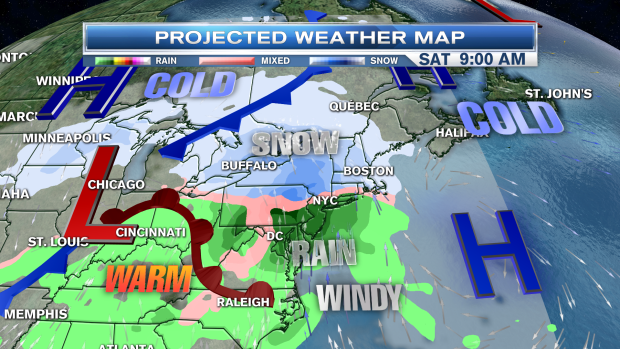 As warmer air pushes in over the weekend, a battle zone of snow and rain will be developing. Snow arrives after sunset Friday, becoming heavy at times early on Saturday, with several inches of accumulation, before changing over to rain in the afternoon. Showers, fog, and drizzle likely Saturday night with temperatures remaining mostly above freezing. Colder air pushes in on Sunday with continued rain showers, perhaps changing to snow before ending. The high temperature will be near 50 degrees Sunday morning before dramatic cooling in the afternoon and overnight. 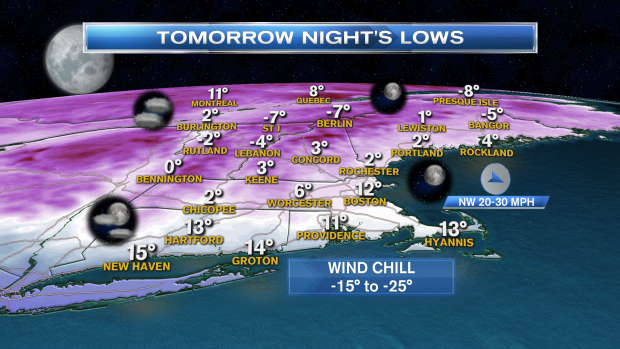 Cold and dry weather should return for Monday.